After 47 years of Soviet occupation, Lithuanians seized the opening created by glasnost and perestroika under Soviet President Mikhail Gorbachev in 1987 to agitate for the restoration of their personal and national rights. The first non-Soviet-controlled political parties were formed, launching the so-called “Singing Revolution” that took its name from peaceful, mass demonstrations that involved the singing of Lithuanian folk songs. 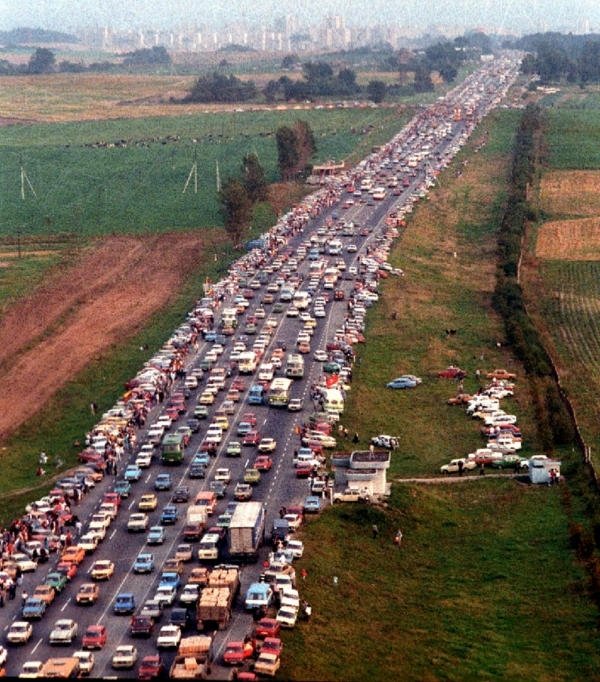 The Baltic Way near Vilnius, Lithuania, Aug. 23, 1989. Other Lithuanian cultural and religious values were also strongly asserted against Soviet authority, resulting in the restoration of the Lithuanian national flag and the return of the National Cathedral in Vilnius, which had been made a museum of atheism. One of the most famous and seminal mass actions occurred when an estimated 2 million Lithuanians, Latvians and Estonians came out of their homes to form a human chain from Vilnius to Tallin in “The Baltic Way” event (pictured above) on August. 23, 1989. This unprecedented, peaceful protest commemorated the 50th anniversary of the secret signing of the Molotov-Ribbentrop Pact by which Nazi Germany and the U.S.S.R. divided Poland and the Baltics among themselves at the opening of World War II. For four exciting years (1987 to 1991), the eyes of the world and the news media were on Lithuania and its equally tiny Baltic neighbors who were often depicted in the press as “threats” to Gorbachev and his efforts to reform the Soviet Union in order to save it. Baltic Americans saw these revolutions differently, as an inspired David vs. Goliath struggle for freedom by their long-oppressed relatives and countrymen overseas. 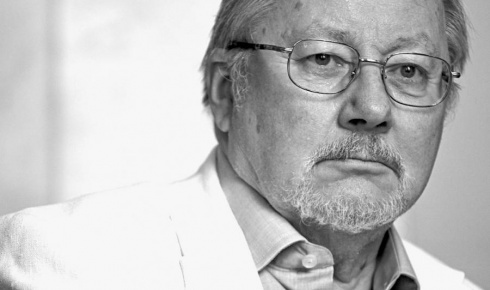 Vytautas Landsbergis, the first head of state of Lithuania after its declaration of independence from the Soviet Union on March 11, 1990, only months after the fall of the Berlin Wall. A joyful upsurge of national feeling occurred in Springfield and across the U.S., as Lithuanian-Americans were able to reclaim their ethnic identity with pride. Suddenly, a heritage that many had been taught to cherish within the private realms of church and family was again publicly relevant: inspiring to millions around the world who valued freedom and human rights. This re-identification with the parents’ and grandparents’ homeland was reinforced by the new freedom to communicate and visit with long-lost Lithuanian relatives and re-unite families that had been painfully separated since WW II. It was also driven by the possibility of joining with a small nation desperately struggling to regain its independence by means of peaceful mass demonstrations aimed at leveraging world opinion against the Soviet superpower. Many historians considered the return of Lithuania to the map one of the most improbable political victories of 20th Century. Along with the Solidarity movement in Poland and the Velvet Revolution in Czechoslovakia, Lithuanian’s peaceful, committed struggle for independence was a key factor in the fall of the Soviet Empire and the liberation of the entire Soviet Bloc. See “The Other Dream Team” for more of the story.